It is fairly easy for secular bloggers to set up alerts in Google Analytics that will inform them when they are experiencing a traffic spike. This can be handy. Imagine that traffic to your blog suddenly goes through the roof and you have no idea it is happening. You might miss out on some opportunities. Of course, knowing that one's traffic has spiked is the easy part. The challenge is figuring out why it is spiking and how to replicate it. When it comes to search traffic (i.e., traffic to your blog from people using search engines), it is often helpful to take a look at Google Search Console. In the Performance section of what Google is still calling the "new" version of Search Console, one can see a list of the queries that are bringing search engine users to one's blog. This tells you what search terms are bringing people to your blog from search engines. And what search query is currently sitting at the top of mine when sorted by clicks? You guessed it, Noelle Nikpour. This raises some intriguing questions, chief among them, "Who the hell is Noelle Nikpour?" I really did have to ask this when I looked at the list of queries bringing people to Atheist Revolution. In 2016, Noelle Nikpour ran for Congress as a Republican in the 18th Congressional District of Florida. Is that why I might have written something about her? Nope. She received less than 2% of the vote in the Republican primary, and I was not paying attention to that race. 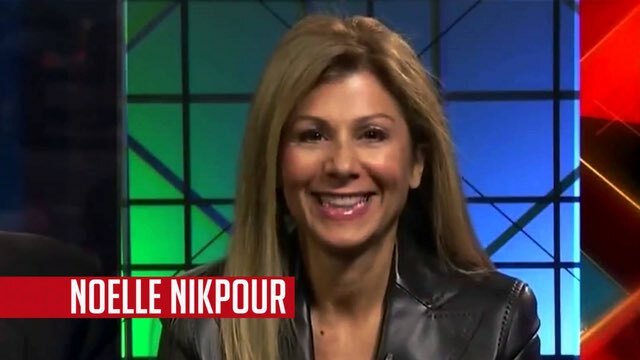 Before she relocated from Arkansas to Florida, Nikpour worked as a Republican political strategist. It was in this role that she came to my attention. Nikpour appeared at least twice on The Daily Show with Jon Stewart, and this 2011 post about her first appearance is the reason why some of those searching for her name end up here. As far as I know, that one post in 2011 is the only one I've ever written about Noelle Nikpour. Considering what it was, it was surprising to see that it was still generating traffic two years later. And from what I see today in Search Console, it is still doing so today. What should we make of this? I admit I'm not sure. Perhaps it means that people are still interested in Noelle Nikpour for some reason and that this is leading them to enter her name in their favorite search engine. And perhaps there is relatively little content about her on the Internet, meaning that a portion of those who search for her end up here because my 2011 post is one of the first items listed in the search results. Does this mean I should start writing more about Noelle Nikpour? I don't think so. I do not know much about her and have little interest in learning more. Besides, when I scan the list of search queries, it is clear that this is an outlier. Most of the other queries on the list make sense because they have to do with the topics about which I usually write. It might make sense to use them to guide future content, especially since most are areas I will want to address anyway.